A few years ago, in October stumbled upon storyfix.com where the incomparable Larry Brooks was doing a series on prepping for NaNoWriMo. I decided to give plotting a chance. I spent much of October sketching out the ideas for my overall plot, surfing deviantART and Google Images for pictures of settings and people to inspire my NaNo story, and reading books in the genre I planned to write. I made a story bible that included lots and lots of fantastic office supplies. Gawd, I love office supplies. This October, I’m challenging you to create your own map. To give plotting a chance. And you might find that it doesn’t work for you. You might find that some of it just doesn’t click, overwhelms, or disrupts your creativity. Lesson learned, right? But you might find that this November you’re able to write 60,000 words instead of 50,000. Last year, I wrote over 80,000 words during 25 days November. With a full time job. And a freelance gig. And a toddler. And #PitchWars. And 2 holiday weekend trips without my laptop. I’m not sure I could have gotten to 50K without planning during October. And unlike IMPERFECTLY FINE, in which there is not a single scene that remains intact from the first draft, most of what I wrote last November remains part of my current draft of ARROW & NIGHT. Although I replaced stuff like "INSERT KISSING SCENE HERE" with, ya know, actual kissing scenes. And I get it—because I used to say that, too. But somewhere around my ninth draft of IMPERFECTLY FINE, I decided I was really tired of re-writing the same story. I enjoy editing for other people much more than I do for myself and I am impatient about a lot of the process when it comes to my own work. I love the rush of a new idea. I also hear a lot of people say “I can’t do NaNoWriMo because I just can’t write that fast.” If I had to guess, I’d imagine a lot of these people are pantsers, too. Because if you don’t know where you’re going, it’s really hard to get there on the first try. It’s a lot easier if you have a map. If you’ve already got a WIP and you’re not doing NaNo, you may still benefit from applying a lot of these exercises to what you’ve already got going on. You can use many of these tips and techniques throughout the writing process, whether that’s now or six months from now. Some days there will be articles to read. Others exercises or techniques. And every day if you’ve got additional resources that you love, I’d love for you to share them in comments. This is a powerful and talented community, especially when we work together. You may help a writer with a story hurdle they’ve been struggling to overcome. And you may learn things about your own writing that surprise you. So today’s assignment is simple. I’m asking you to give plotting a chance. In whatever manner works for you. Imagine that this is a 31 day writing workshop. Use it as an opportunity to confirm that what you’re already doing is the best method for you. As always, take what works and toss the rest. So what do you say? Who’s with me? I've got a few characters, a setting, and the whisper of a story idea. 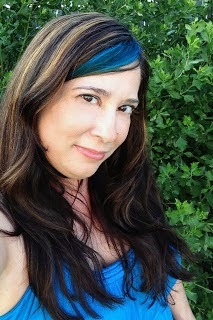 I'm eager to follow your blog this month to see if I can create a workable outline. This is the first year I'm going into Nano with a plan. Normally I see what strikes my fancy on November 1st and just write away (it's worked pretty well for me), and many of the pieces I wrote are serving as the spark for novels because of my tendency to "write my way" to the start of a story. Actually, the two projects I'm debating (not sure which will end up being the one I work on for NaNo this year) both were NaNo's before -- I've just now found the story! So... I'm actually outlining! I have vague ideas, a few scenes, and "character goals" which happen along the way that I'll write my way through. It will be an interesting experiment! Maybe the workshop will help you decide between projects! Or you could plot both! Dannie, I'm glad you're doing this series, because I'd like to try more plotting before NaNo this year. Groovy! I'm also going to try and outline three novels ha ha ... am attempting a fantasy trilogy for this year's NaNo a la Marissa Meyer who wrote the first drafts of Cinder, Scarlet, and Cress during NaNo 2009 which then led to her selling the Lunar Chronicles a year later...pretty awesome :) In any case, she's a big outliner and I'd love to give it a shot. Thanks! Nice! Yes, she has amazing output. Alrighty, you've got me. This year? 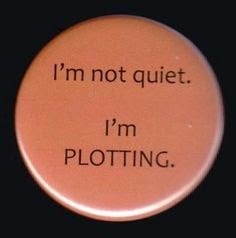 I will plot.